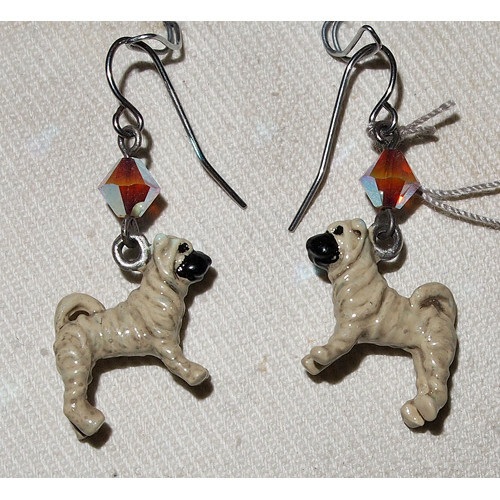 Handpainted earrings in pewter satin finish with a Shar Pei Standing painted light brown with black details. These earrings are decorated with crystal beads from Swarovski in the color Sand Opal AB X2. The length of the earring is approx. 30 mm and the width is 15 mm.